Barcelona.com is a Professional Congress Organizer. 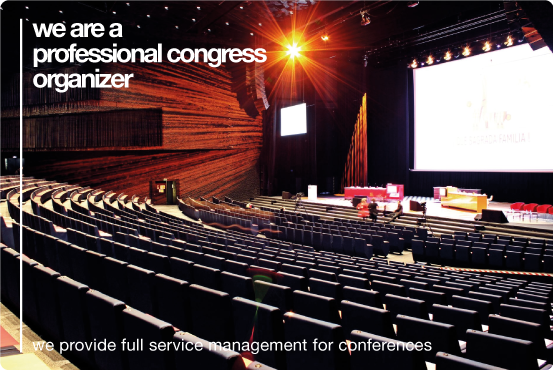 We are specialized in the organization and management of congresses, conferences, seminars and similar events. We provide full service management for conferences design, registration, site and venue selection and booking, audiovisuals, IT support, logistics, leisure management, marketing, printing and web services, sourcing speakers, funding and sponsorship, financial management and budget control.